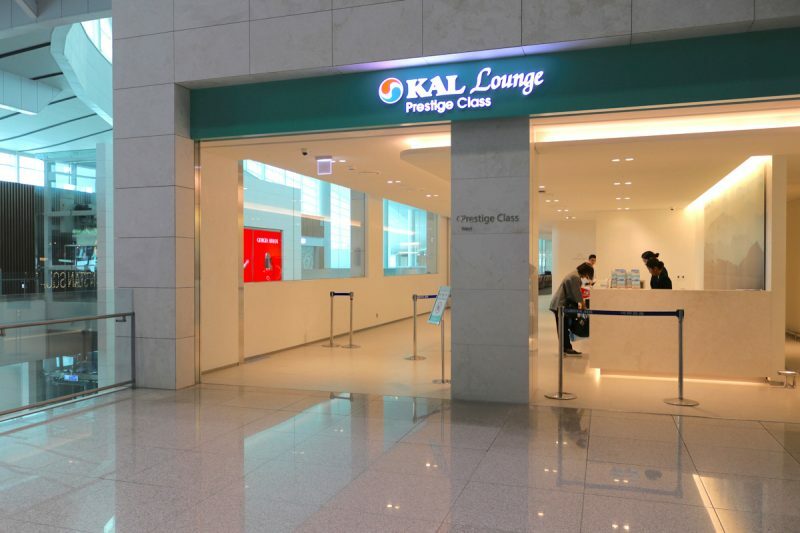 I tested many Asian business classes in the past few years, from Cathay Pacific or Singapore Airlines airline for instance, and I was delighted to compare them with the famous Korean Air Prestige Class. 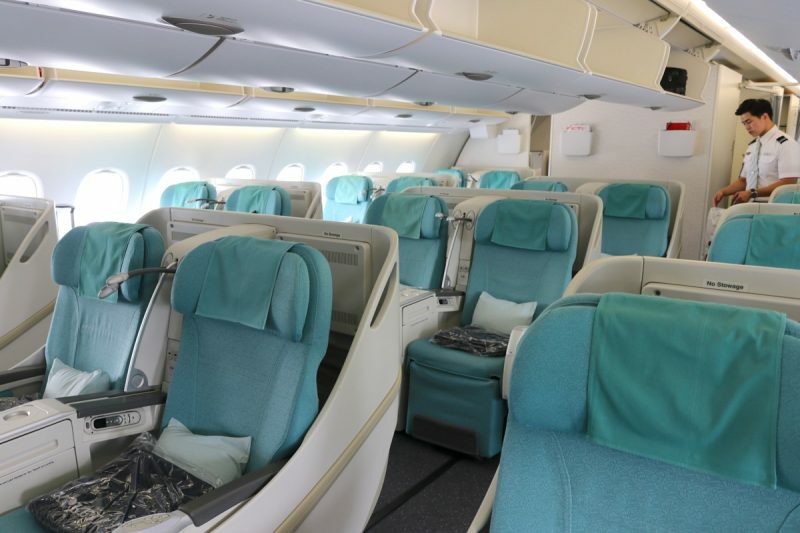 I boarded a Korean Air A380 aircraft for a long-haul flight between Seoul and Paris to experiment it. Korean Air made big investments in the past few years to change its notoriety status from average to luxurious & reliable, especially for Western market. They aquired 10 superjumbo A380s, they opened many routes to Europe and US, enhanced their ground and in-flight services… At the end they notably improved their Skytrax rating, having today 4 stars. 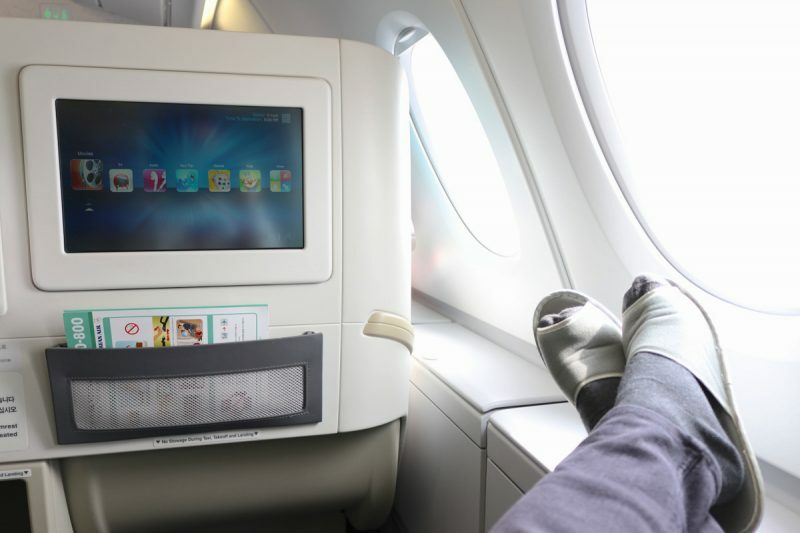 Let’s review how it was for my long-haul trip between Seoul and Paris in A380! 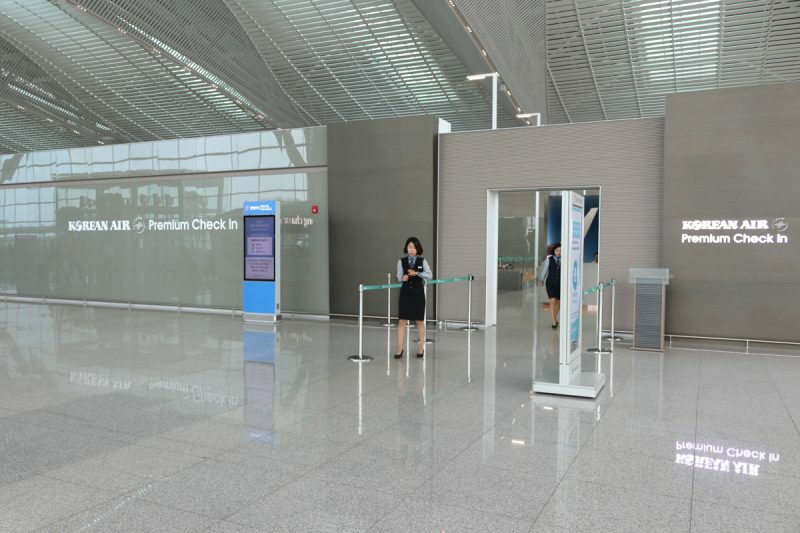 Once arrived at Incheon International Airport, Korean Air Prestige Class travelers are not lost: a huge Premium Check-In welcomes them, separately from the rest of the crowd. 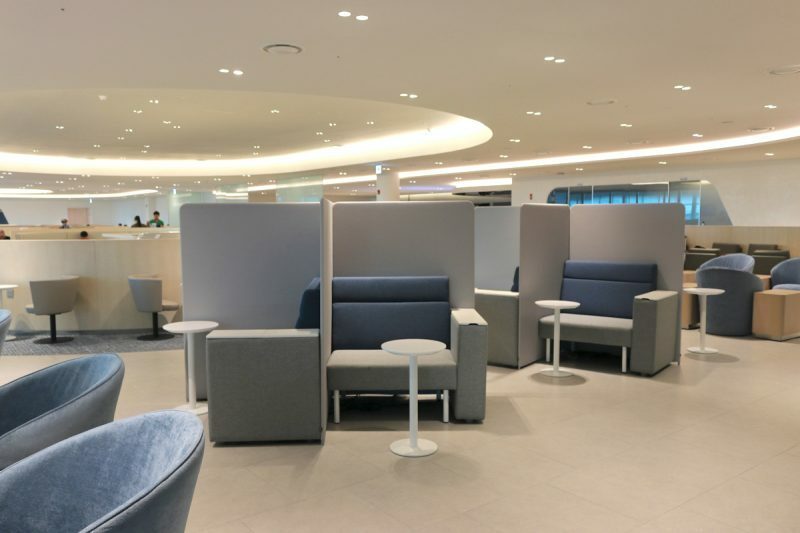 There, Korean Air staff take care of premium travelers and dispatch them to business class counters (Prestige Class) and to the even-more-exclusive first class counters, located in a nearby hidden room. My check-in was very smooth. The hostess showed me a seat plan and asked where I wanted to seat, then quickly printed my boarding pass before carefully explaining me where the Prestige Class lounge was. Then I moved to the Custom & Security line, unfortunately without any fast track. At least, the lounge is large and offers plenty of seats. Interior design is modern – I believe it has been recently built – with beautiful & convenient furnitures, like the “Chef’s table” near the buffet and the semi-privative seats apart from the rest of the lounge. I also really appreciated the theater-like room and the relaxation area, opposite from each other and providing a great premium service for all kind of customers: families, couples, business men & women… Brilliant and a good diversified experience! Thanks to the A380 double-deck layout, First & Prestige Class passengers were invited to onboard first, even before families, elders and disabled travelers. For once, the SkyPriority access deserves its name. I quickly reached the aircraft’s upper floor and was then escorted by a flight attendant to my seat. He took my jacket and invited me to relax, with a large and communicative smile. He came back minutes later to propose a welcome drink and give my travel amenity kit. I quickly noticed that my Prestige Class cabin was far from full: I would say that 30% of seats were occupied. It was actually a good news for me, since I was going to have a quieter flight with faster service! I can’t really explain why my cabin was almost empty, maybe a wrong day or pricing/marketing issue, but I can say the hard product was pretty good. Seats have a 74″ pitch, a 21″ width and can transform into a full flat bed. Even the blanket and entertainment system were very good quality, I had everything to enjoy my 12-hour journey! My last point about the cabin is about something so special that I must mention it: two relaxation/discussion zones Celestial Bars are available at the front and the back of the cabin, with free refreshments and books. 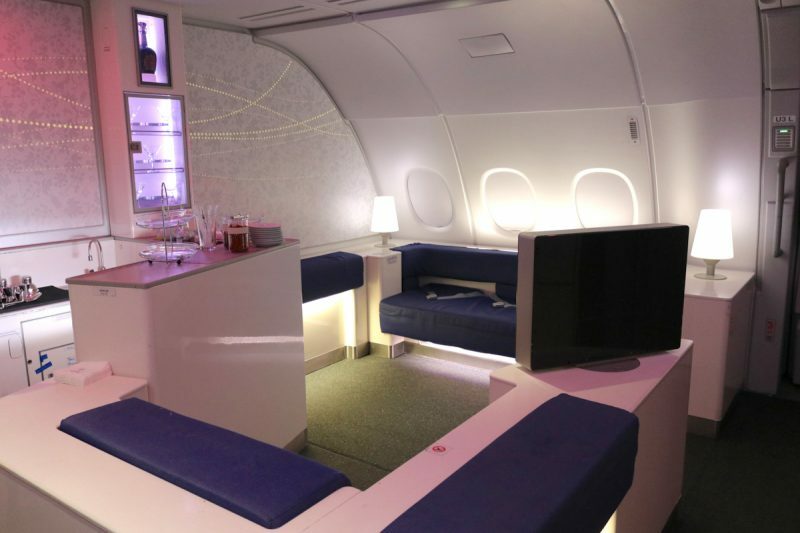 I had never seen such a large lounging area in an aircraft – Emirates offers a similar but smaller experience – and the impact on travelers was visibly good. 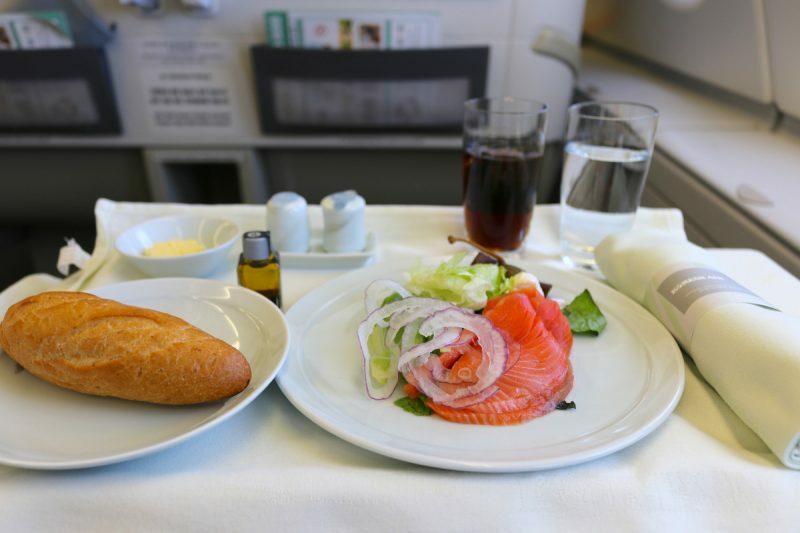 The lunch and dinner I experimented onboard were both delicious. The menu included Asian and Western dishes served at the plate, satisfaying all tastes and with the possibility to dine at a custom time. 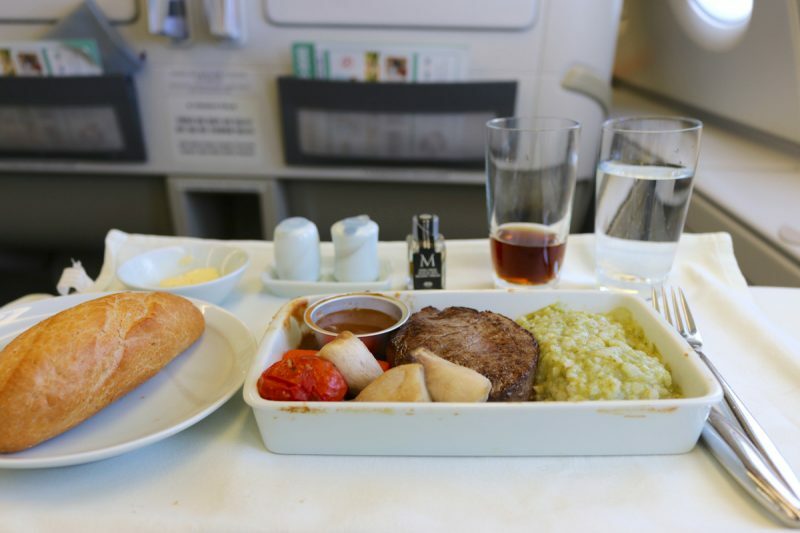 I particularly enjoyed my sirloin steak, perfectly cooked – a hostess asked me before take-off how I wanted my beef: rare, medium or well done – with its tasty side dishes. A very good surprise, especially from an Asian airline! Wine list was also quite extensive and luxurious, I am sure liquor fans would have been delighted. On the other hand, dessert selection was poor and not up to Westerners’ taste… Anyway, on the overall Korean Air Prestige Class offers a pleasant catering with a nice and personalized service from crew staff. 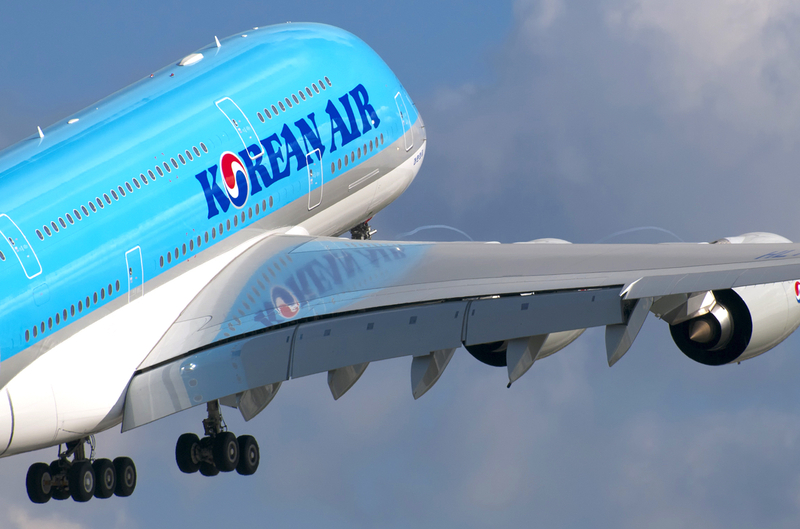 Korean Air offers a very good and competitive alternative to travel from Europe to Korea and vice-versa. A comfortable A380, nice ground and in-flight services, this company deserves its reputation ; for sure you won’t be disappointed with it.